Is your software partner up to code? Find out. Download your free software testing checklist today! 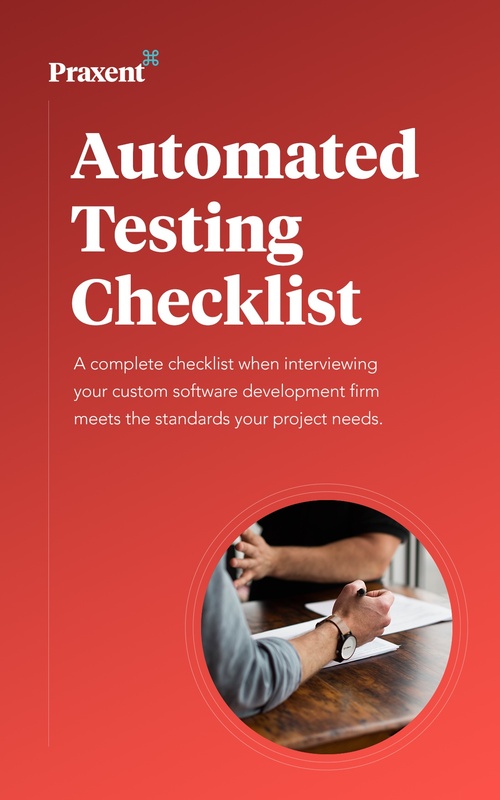 Use this checklist when discussing automated testing and deployment with your software partner. Since tested software code allows easier upgrades to underlying frameworks, safer code refactoring, and acts as an early detection and warning system of potential problems — it’s crucial to work with a software partner who employs automated testing and deployment. Download the checklist and discover whether your software partner is up to code.